Slowly but surely, things are getting better—or so we’d like to believe. The unfortunate truth is the recession has sent an alarming number of families into financial distress for the first time. Unemployment remains high. Home foreclosures continue. The Portland Police Bureau respond to what seems like an ever increasing number of calls involving people struggling with mental health crisis, including suicides. Visits to food banks have reached record levels. The increasing demand for services—and diminishing state and local resources—is straining the community safety net for people in need. 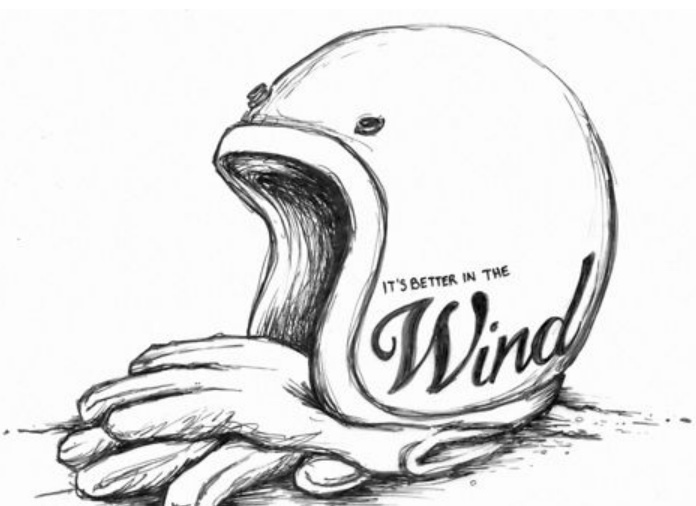 In part, it’s the reason for the tag line of this blog “Whatever it is… it’s better in the wind” which I created back in July 2007. The thinking was all a person needs is a few bucks for a used bike, $20 bucks for some fuel, a couple t-shirts, some free time, and a couple like-minded friends to enjoy the sensation. If you can’t scrape that together, then at least roll down the windows on the SUV, and enjoy a few moments of well-deserved Wind. And speaking of wind in the face… a couple years ago I blogged (HERE) about Scott G. Toepfer — an emerging documentary photographer with a love of motorcycles and adventure. His posse set out across the Western U.S., to experience the spaces between here and there, and to see what becomes of them on the road. It turns out that Mr. Toepfer finally aggregated the content he captured from their rides over the last two years and release the short film (HERE – 17 min) which tells the story of their adventures. It’s certainly worth a watch and may even be an inspiration for getting out in the wind! Photo courtesy of Scott Toepfer.